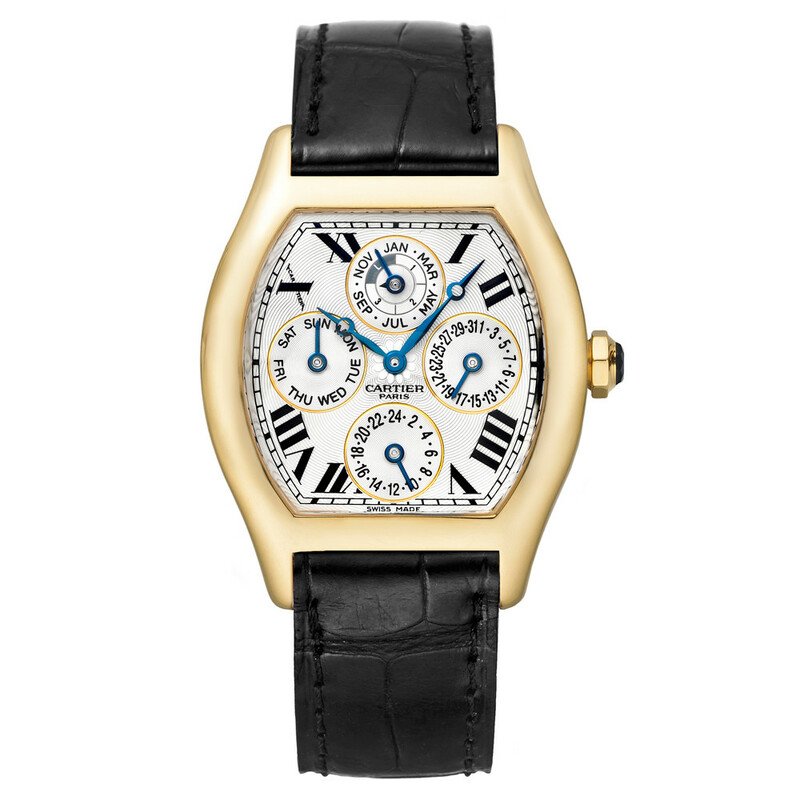 Pre-owned Cartier "Collection Privée" Tortue Perpetual Calendar (ref. 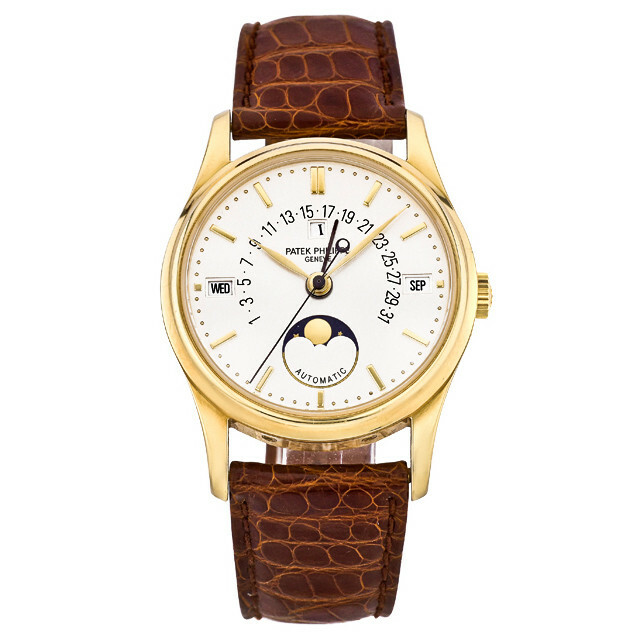 W1538651), featuring a mechanical automatic movement; silvered, guilloché dial with black Roman numerals and blued steel hands; perpetual calendar complication with day-of-the-week display at 9 o'clock, date display at 3 o'clock, as well as month and leap year combined in a single subdial at 12 o'clock; dual time zone complication at 6 o'clock; sapphire-crystal, exhibition case back; and 35.5 x 44.0mm, 18k yellow gold case on a black leather strap with a Cartier, 18k gold deployant clasp. 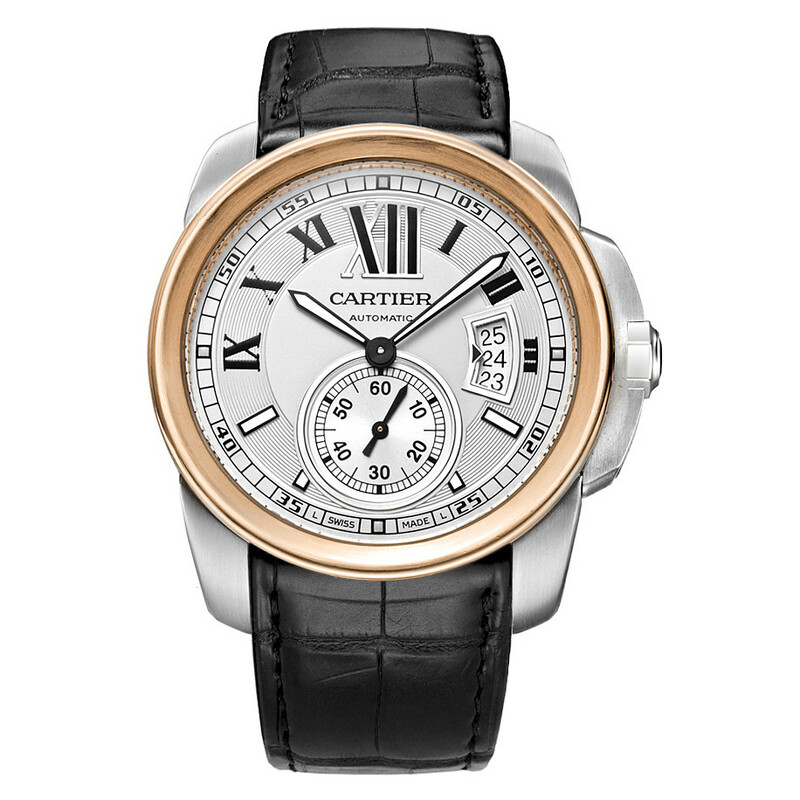 Guaranteed authentic, with the case, dial and movement signed Cartier. 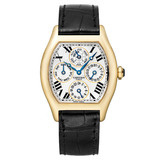 Accompanied by the original Cartier watch box. Watchmaker's Condition Report: Just returned from movement service with case refinish at Cartier (2/6/2019). Excellent condition.